Home Israel Time-lapse of a stone wall structure at Korazim, Israel. Categories: Best of Stock Footage Reel NAB, Israel 4K UHD Stock Footage Reel, Israel 4K UHD Stock Footage Reel Long, Israel. Tags: archaeological, architecture, blue, brick, building, city, excavation, israel, israeli, jewish, korazim, lapse, middle east, old, outdoor, remains, rock, ruins, slide, sliding, stacked, stone, stonewall, summer, sun, time, time lapse, timelapse, tourism, track, tracking, travel, wall. Stock Video Footage panoramic of the Mediterranean and Tel Aviv shot in Israel at 4k with Red. 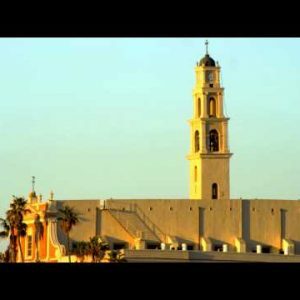 Stock Video Footage of St. Peter’s Church and the Mediterranean Sea shot in Israel at 4k with Red.